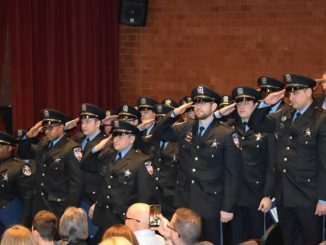 Park Forest, IL-(ENEWSPF)- Editor’s Note: This police beat coverage represents reports through October 14, 2018. Charges for those arrested in this time period include disorderly conduct, driving without insurance, driving without a driver’s license, and criminal trespass to real property. Tione Dixon, 21, 11 Arrrowhead Ct., Park Forest, IL was arrested on October 5 and charged with disorderly conduct and mob action after police conducted stationary surveillance in the area of Allegheny and Arrowhead Streets regarding recent reports where school buses were struck with BBs from a BB gun. Jerbreal Bentley, 18, 219 Illinois Street, Park Forest, IL also arrested and charged with disorderly conduct, mob action, and possession of a controlled substance; Seiera Ward, 22, 314 West 34th Street, Steger, was arrested and charged with disorderly conduct; and a 13-year-old boy was arrested and charged with disorderly conduct and unlawful discharge of a BB gun. Renardo R. Morgan, 20, 13104 S. Langley Ave., Chicago, was arrested on October 7 and charged with no insurance and unlawful display of registration when an officer traveling westbound on Sauk Trail near the intersection of Sauk Trail and Shabbona Drive saw a vehicle that appeared to have an expired registration sticker. The officer checked the vehicle’s listed registration through a law enforcement database and determined that the vehicle’s registration was expired. The officer also saw that the registration listed was for a gold-colored Chrysler. The vehicle Mr. Morgan was driving was a burgundy colored Chevrolet Monte Carlo, according to police. Markas T. Bowden, 42, 418 E. Clark St., Glenwood, was arrested on October 8 and charged with domestic battery when police responded to the 400 block of Sandburg Street to investigate a report of a domestic battery in progress. While on their way, SouthCom Dispatch told police that a witness saw a man allegedly beating on a woman after he allegedly knocked her to the ground. After that call, the alleged victim also called 911. According to police, Mr. Bowden allegedly grabbed the alleged victim’s cell phone from her, accusing her of cheating. He allegedly pushed her head into a wall causing her to strike a glass picture frame, breaking the glass and causing swelling to her head. The alleged victim ran from the house, and Mr. Bowden allegedly chased after her, caught up to her in the front yard, and allegedly pushed her to the ground. When she got to her feet, he allegedly pushed her to the ground two additional times, according to police. The alleged victim told police she was willing to sign criminal complaints against Mr. Bowden on a charge of domestic battery, according to police. Mr. Bowden was placed under arrest, charged, and held at the Park Forest Police Department awaiting transportation to the Markham Courthouse pending court. Tyrone D. Lewis Jr., 18, 222 Washington St., Park Forest, was arrested on October 10 and charged with operation of an uninsured motor vehicle, no valid driver’s license, unlawful display of registration, no rear registration plate light, and issued a court date of November 14 at the Markham Courthouse. 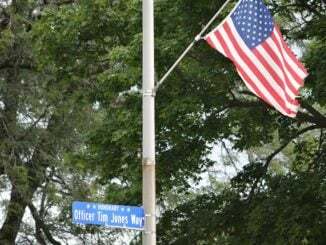 An officer traveling northeast on Oakwood Street was behind a white Pontiac Grand Am that did not have a rear registration plate light, according to police. The officer trailed the vehicle and checked the car’s registration number through a law enforcement database and discovered that the listed registration expired in April 2018 and was for a white 2000 Toyota, according to police. The officer followed the car and curbed it in the 100 block of Shabbona Drive. The driver, Mr. Lewis, handed the officer the driver’s license of a passenger in the vehicle, allegedly stating, “I don’t have my license,” according to police. Steven J. Kemp, 48, 342 Oakwood St., Park Forest, was arrested on October 11 and charged with domestic battery after police responded to the 300 block of Oakwood Street to investigate a report of a domestic disturbance. While on their way, officers were notified that the alleged offender was leaving the scene in a white Chevrolet Impala. A responding officer located the vehicle and stopped it near the intersection of Lester Road and Sauk Trail, according to police. The alleged victim said that Mr. Kemp was highly intoxicated. She told police that she and Mr. Kemp got into an argument and he allegedly placed his hands around her neck, according to police. Mr. Kemp denied putting his hands on the alleged victim. He was taken into custody and transported to the Park Forest Police Department where he was charged and put in a cell pending transportation to the Markham Courthouse. Godrey Martin, 46, 8936 S. Cregier Ave., Chicago, was arrested on October 14 and charged with one count of criminal trespass to real property after police were dispatched to the 300 block of Somonauk Street to investigate a 911 hang-up call. When police arrived, they spoke with Mr. Martin and a woman, both of whom were highly intoxicated, according to police. They said that they were trading insults toward one another as a joke and did not need any assistance. When an officer asked why he called the police, Mr. Martin said that the woman took the insulting two far and he did not mean to call 911. They both said they would be okay for the evening. 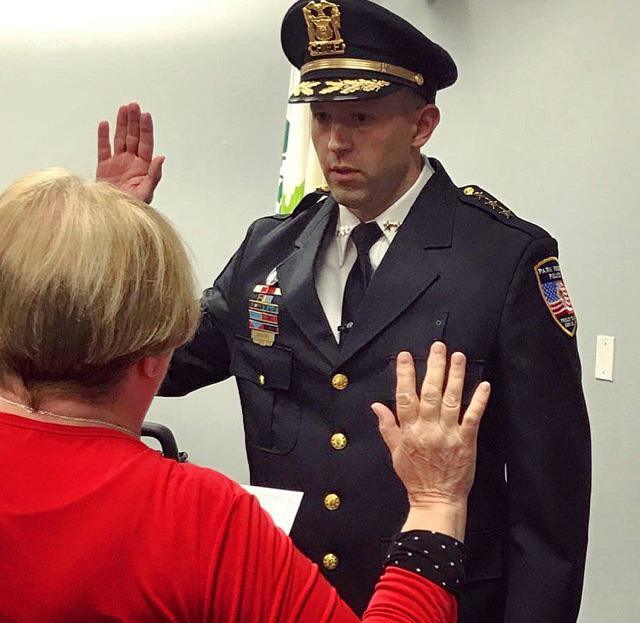 When the officer was entering his patrol vehicle, the woman approached him from the front of her residence and told him that Mr. Martin had become upset and she would like him to leave her home. She said that Mr. Martin does not live there with her, that he is merely a temporary guest, and he is not on her lease. She said that she allows Mr. Martin to stay with her from time to time but she no longer wants him at her home. She advised that she would sign complaints against Mr. Martin. Police gave her advice regarding the Illinois Domestic Violence Act. 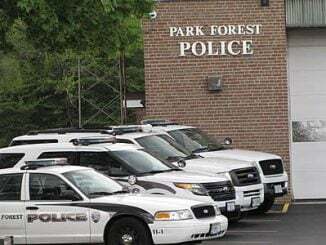 Upon searching the records of the Park Forest Police Department, officers discovered five other calls for domestic disturbances between Mr. Martin and the woman in 2017 and five calls in 2018.